Hussein El-Imam, a renowned Egyptian actor and musician, passed away late Saturday. The cause of El-Imam's death has not been confirmed yet, with preliminary reports claiming the 63-year-old had died of cardiac arrest. El-Imam, who began his art career playing music with his brother Moody El-Imam, wrote the scores of several Egyptian films including Kaboria (1990), starring Egypt's most celebrated actor Ahmed Zaki, and Ice Cream in Gleem with Pop star Amr Diab (1992). 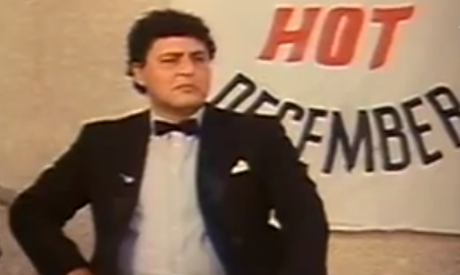 El-Imam, who acted in over 70 films, featured in both movies as well. Strongly remembered for his sense of humor, El-Imam was also the host of several popular candid camera shows. He is the son of the late Hassan El-Imam, who is one of Egypt's most acclaimed filmmakers, and was married to Egyptian actress Sahar Ramy. Hussein, was a wonderful friend who could make you laugh and had the most white heart of any man that I have ever met, The true Egyptian, kind generous, musically talented, He will be truly missed.